In this tutorial, we will create a custom eCard - one with a simple gradient background and one with a picture background. If you feel this tutorial doesn't show every step to achieving what you want in your eCard design, Photoshop has plenty of online tutorials for mastering the different tools and effects. This tutorial assumes you have some experience with Photoshop but a Photoshop beginner can follow this tutorial. For more Photoshop specific help, visit the Adobe site. Open Photoshop and click File > New... (ctrl+N). CorpNote eCards are all in a 4:3 ratio with a 600 pixel wide minimum. Make sure the resolution is 72 pixels per inch (ppi) and choose the RGB color mode. If you want a solid color or gradient for the background, convert the locked background to a layer by double clicking the layer and then clicking either OK or pressing enter. 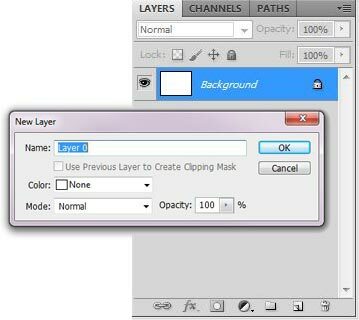 To create a solid or gradient background, click on the background layer and choose either a Color Overlay or Gradient Effect. Select colors that match your company's brand or work well with your overall design. 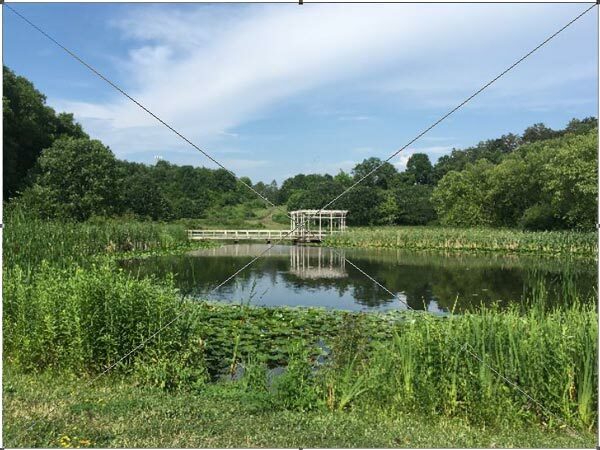 If you are making a custom picture eCard, drag your picture into the Photoshop window to create a smart object. Set the image size and position and then press enter to confirm the import. Drag your logo image into the Photoshop window (transparent backgrounds work best; you can also use the magic wand or lasso tool to remove space that you don't want). Use the type tool to add your message. Tip: Make a list of all the messages you want to create and type them all in one session as separate layers. This allows you to create multiple eCards from the same file: Thank you, Special Announcement, Special Event etc. Use the FX options for the text layer to add creative and appealing depth to your eCard. A simple effect like a glow or a drop shadow can make your text or logo stand out against the background. 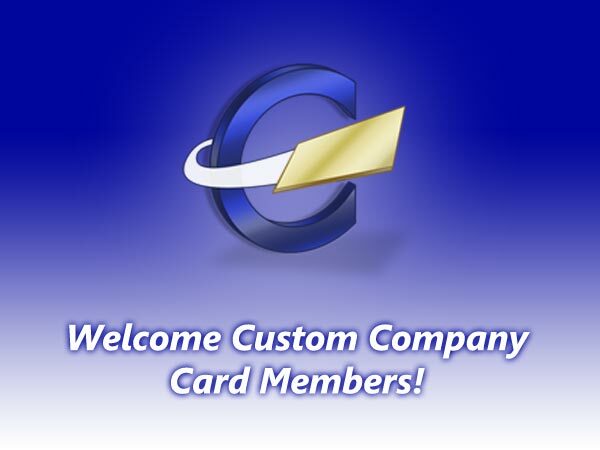 The eCard design below shows a glow effect for the text and a larger but more transparent glow for the logo. 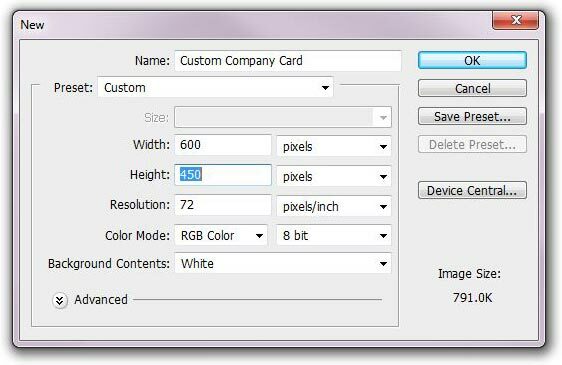 Save your custom eCard design as a Photoshop file (.PSD) so you can quickly make more eCards and invitations from your template as needed. 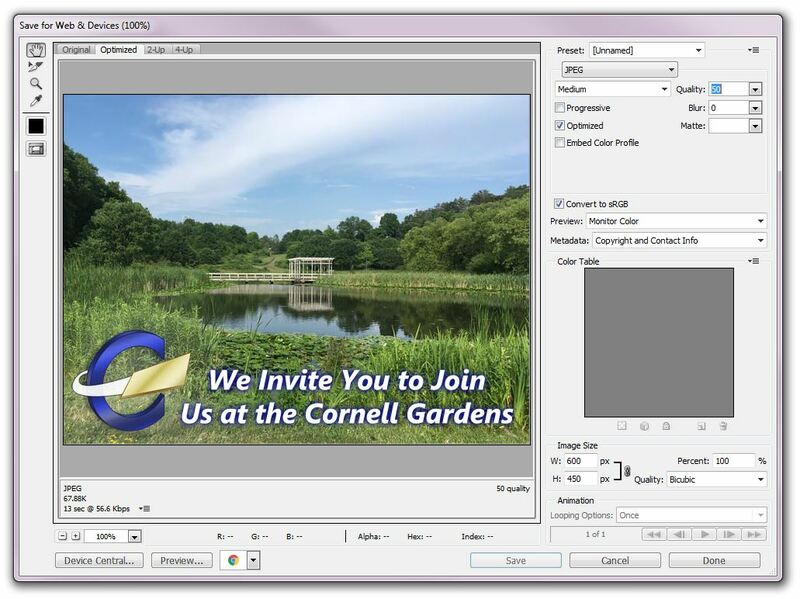 To save your design in the format needed for an eCard/invitation, select File > Save for Web and Devices (ctrl+alt+shift+S) from the Photoshop menu. Choose the JPEG file format (.JPG) and adjust the quality to find the best compromise between small file size and clear image. Smaller files will load and display quicker for you and your eCard/invitation recipients. 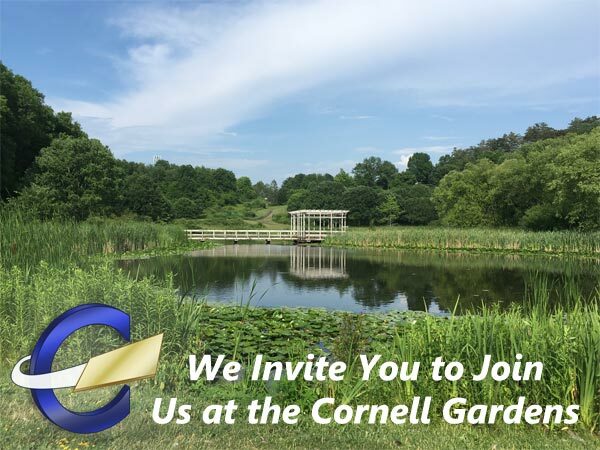 Save this file where you will easily remember where it is located and then follow the instructions for how to upload your eCard/invitation design.